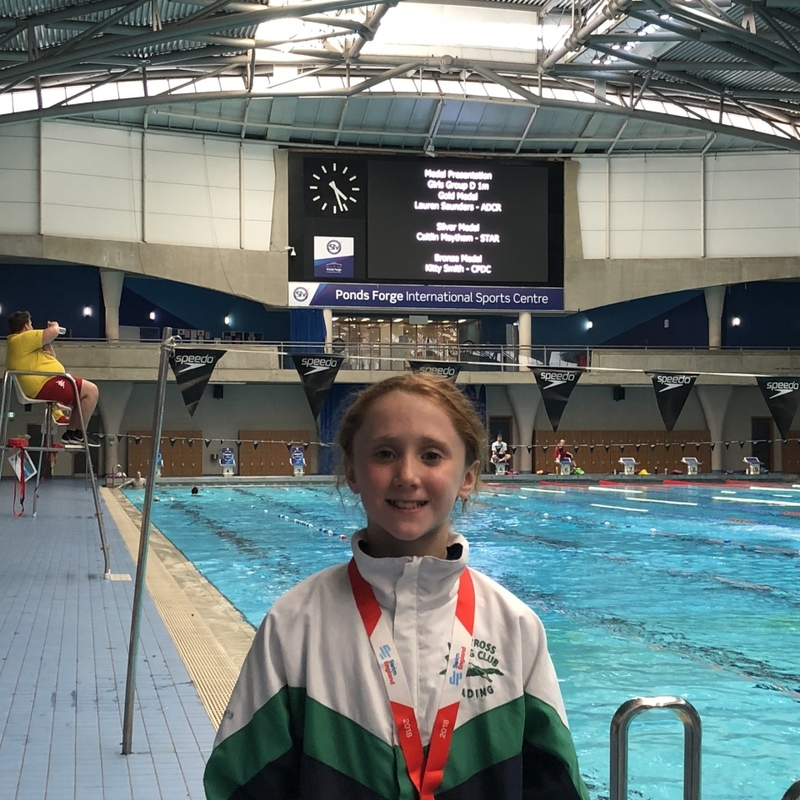 Albatross strikes gold winning a record number of medals at the 2018 Swim England National Age Group Championships. 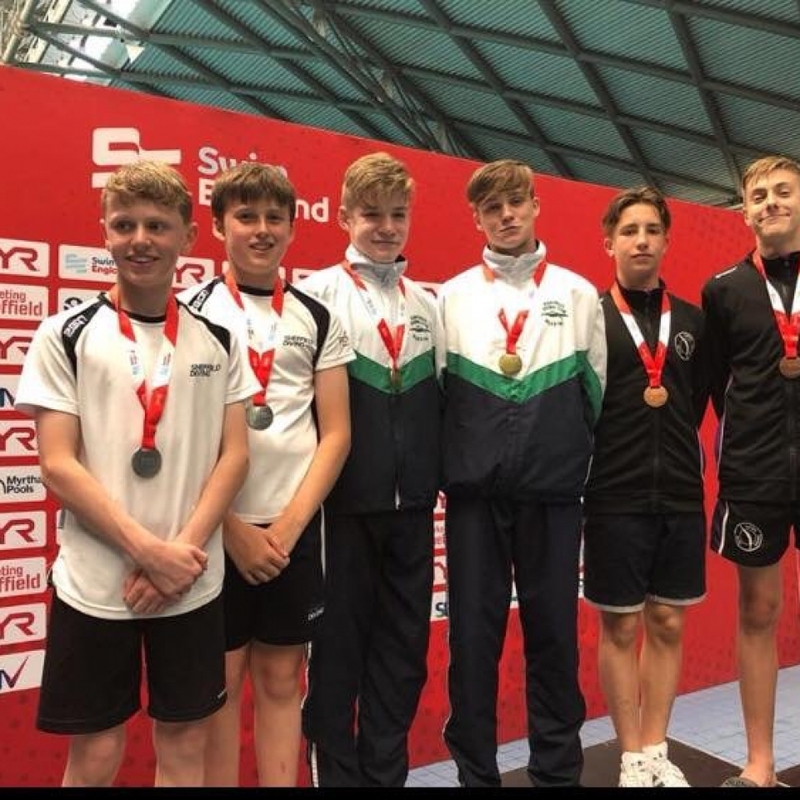 Lauren Saunders, Ethan Jones and Ollie Breach won Swim England National Age Group titles with Ethan joining his team mate Quinn Shaw to win a further gold in the boys B/A 3 m synchronised diving. Team Albatross also set a club record by winning a further nine individual medals across the age groups. 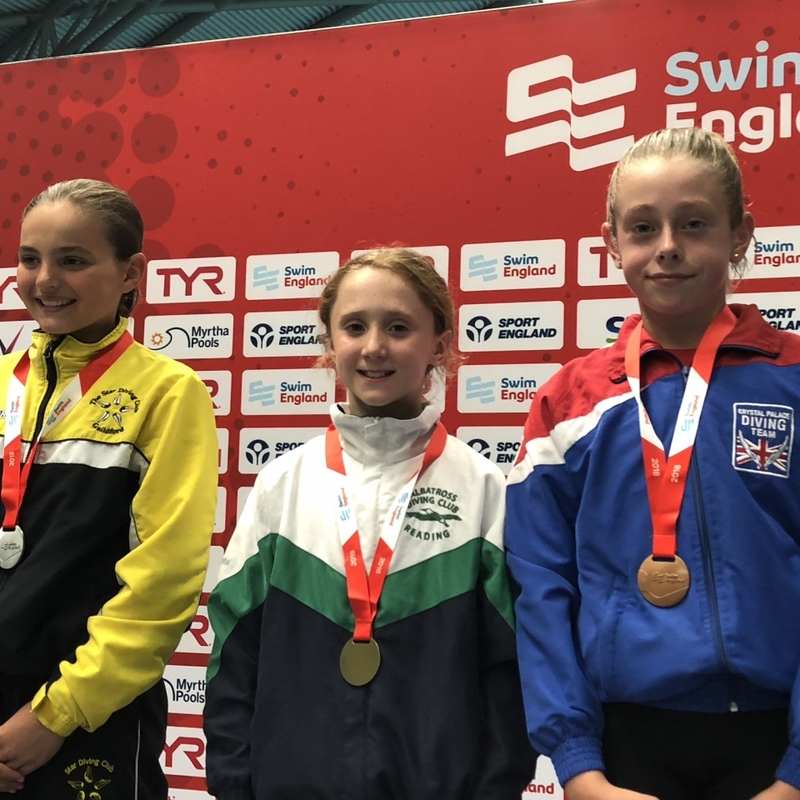 Lauren Saunders was outstanding in the girls D events winning both the 1m and 3m Swim England National Age Group titles alongside a silver medal on platform. 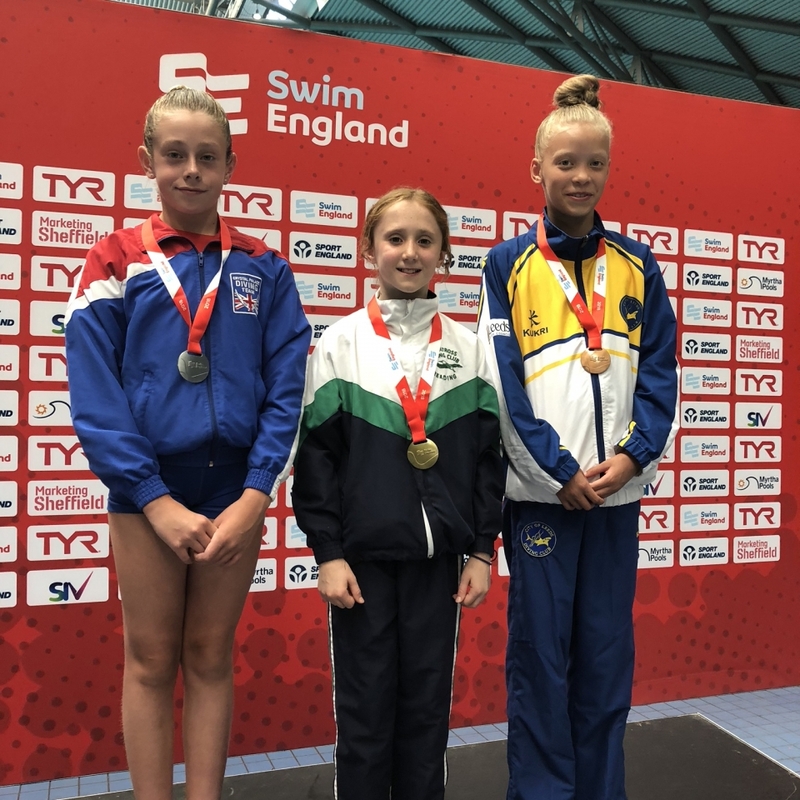 On 3m, strong required dives and a consistent PB performance throughout meant Lauren finished well ahead of the competition for a convincing win with 162.45 points. 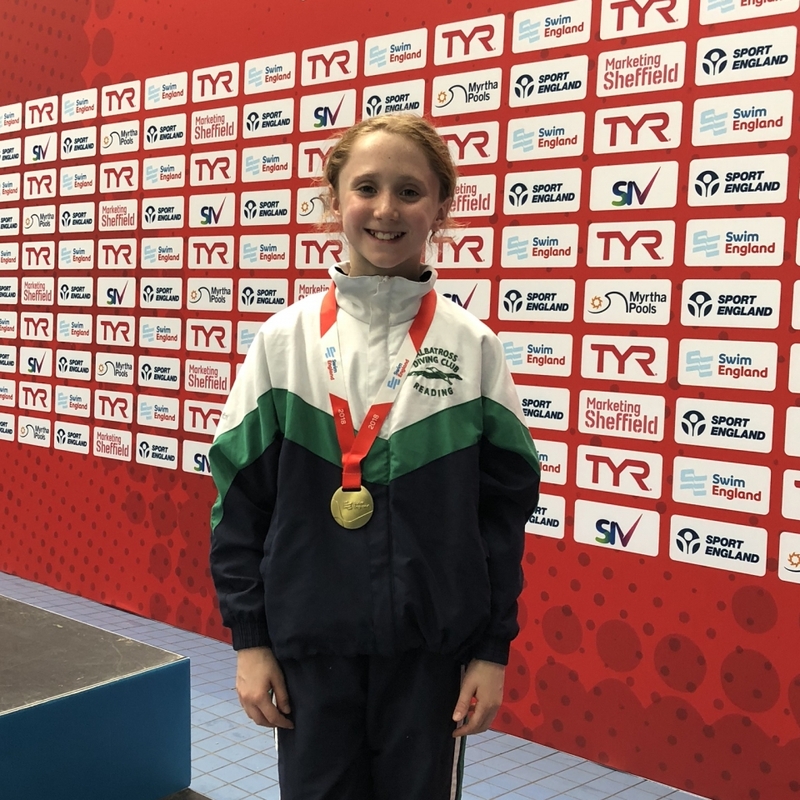 On 1m Lauren demonstrated excellent form and consistency to triumph with another personal best (165.65 points). Lauren also shone on platform to take the silver medal with 158.20 points. 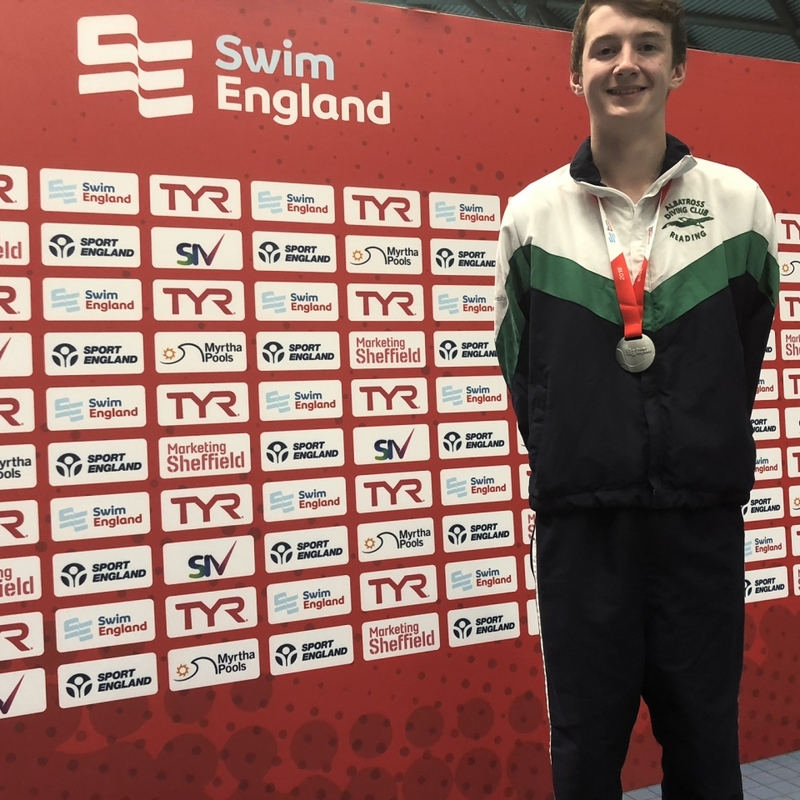 Ethan Jones had a standout competition winning the boys B Swim England National Age Group 3m title with 277.90 points. 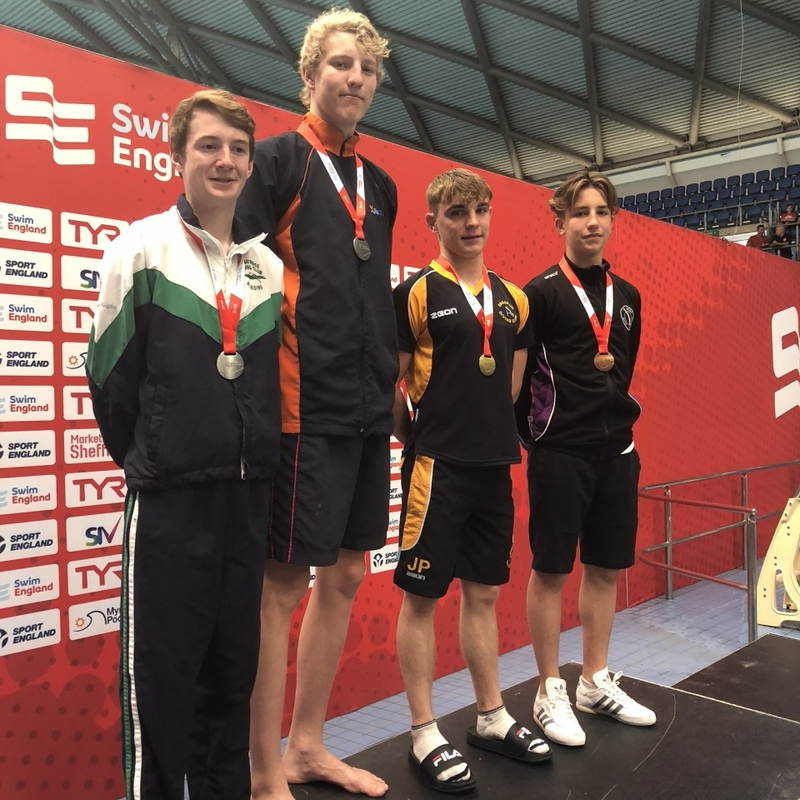 Consistency on his required dives and excellent scores on his optional dives, (49.95 points for inward two and a half somersault tuck), confirmed Ethan as the worthy winner. On platform superb diving, including 56.00 points for back one and a half somersaults two and a half twists, saw Ethan win silver with 258.00 points; an agonising 0.65 points behind the winner . Ethan was rewarded with another silver medal on 1m (253.30). 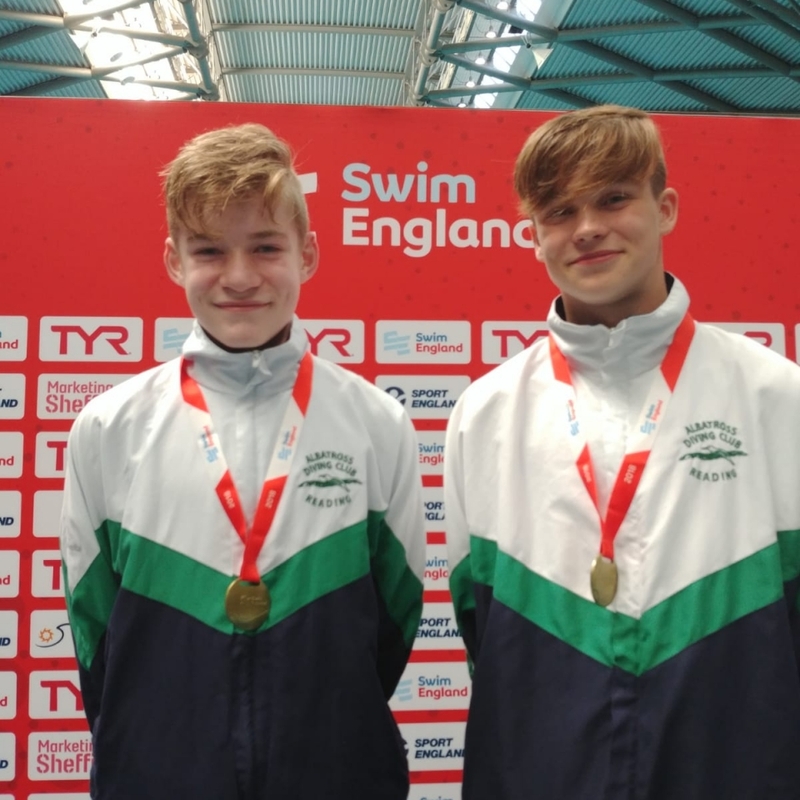 Ethan Jones and Quinn Shaw then joined forces to win the National Title in boys A/B 3m synchronised diving (220.83). 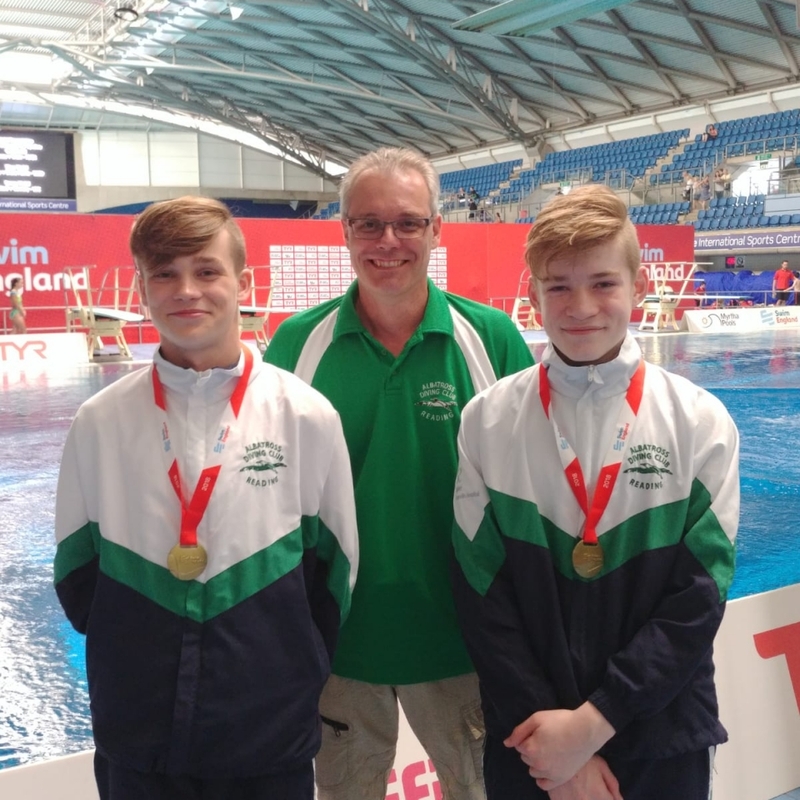 The boys were consistent across their set and sealed gold with a well-executed back one and a half somersaults two and a half twists scoring 50.40 points. Quinn Shaw was also successful in the boys B events. 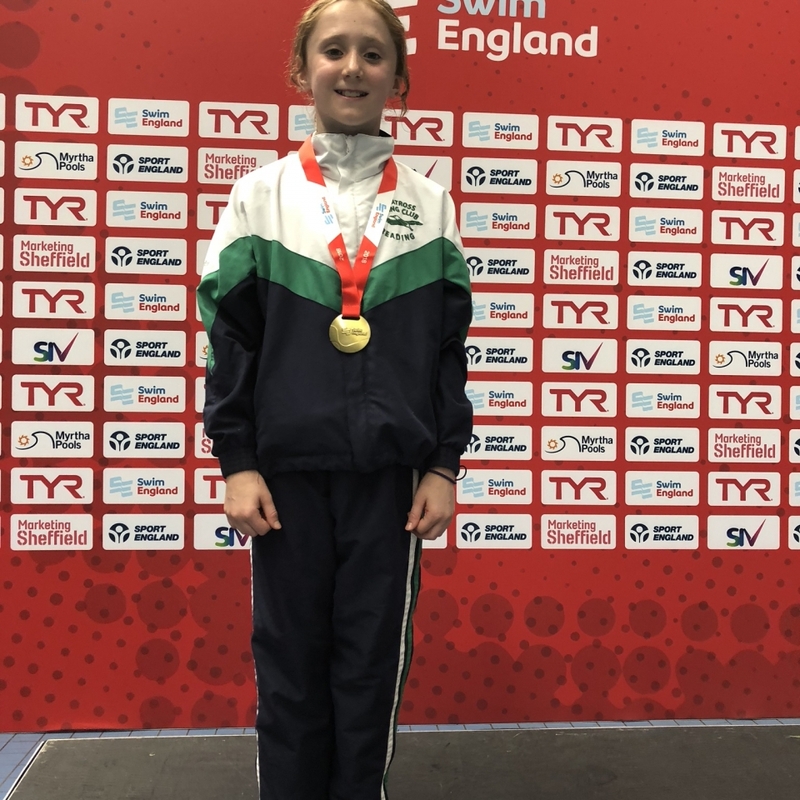 Quinn won silver on 3m with 268.30 points and bronze on platform with 240.85 points. Quinn placed 4th on 1m (244.65). 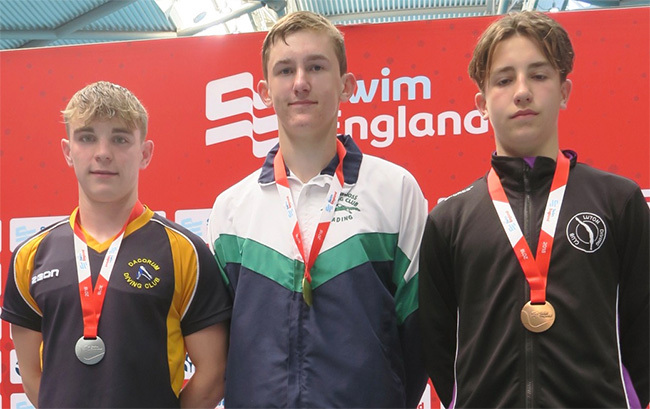 Ollie Breach won a further National Title for Team Albatross in the boys A Platform event. 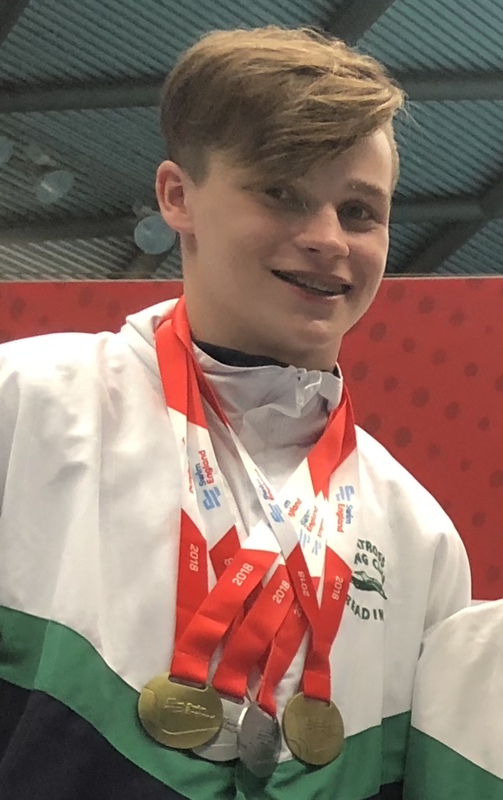 Ollie dived superbly throughout his set and finished with a show-stopping arm-stand double somersault pike from the 10 meter board (50.40) to secure gold with a final score of 300.10 points. 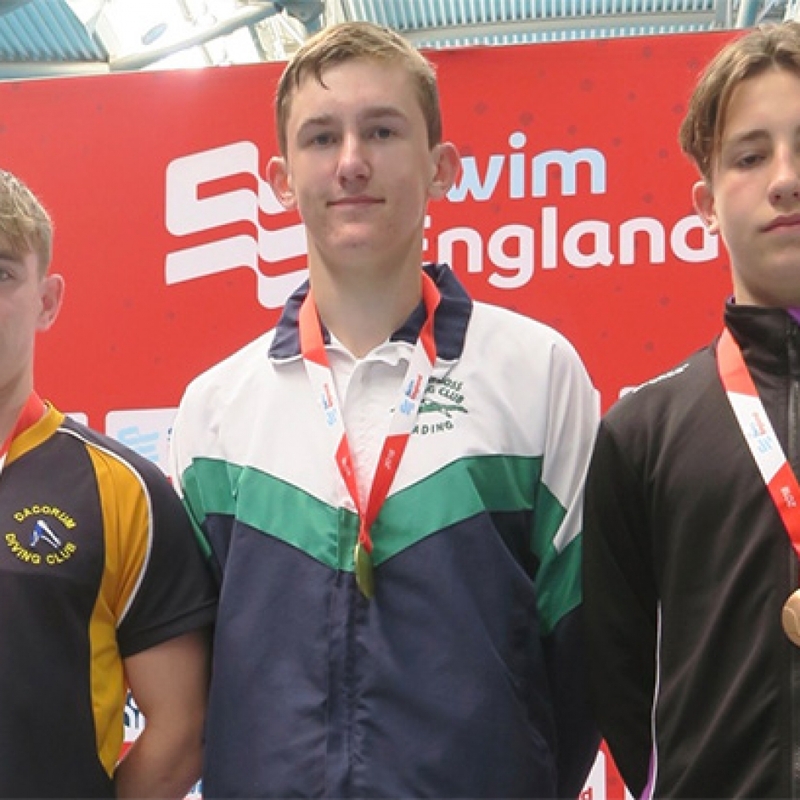 Ollie won a further silver medal in the 1m event (282.25) and placed 4th on 3m (275.65). d Beal won a well-deserved silver medal on 3m with 300.65 points. 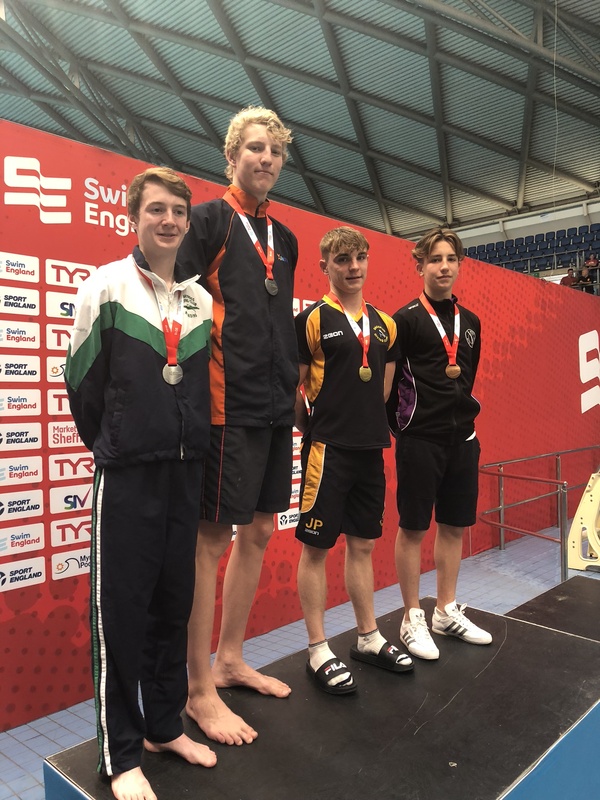 Edward demonstrated consistency throughout his required dives and strong optional dives including 46.20 points for his back two and a half somersaults tuck to clinch his podium finish. 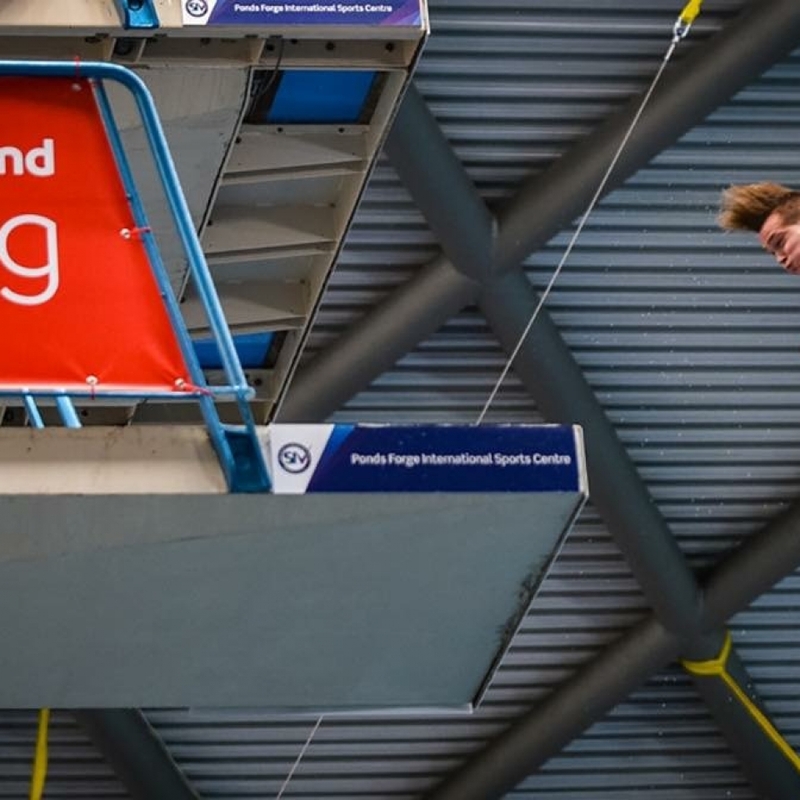 Edward placed 4th on 1m scoring 268.20 less than 2 points behind the bronze medallist. In group C Molly Lefever, Maya Peche and Hernan Mosqueda-Jolly were all competing in their first National Age Group Competition. 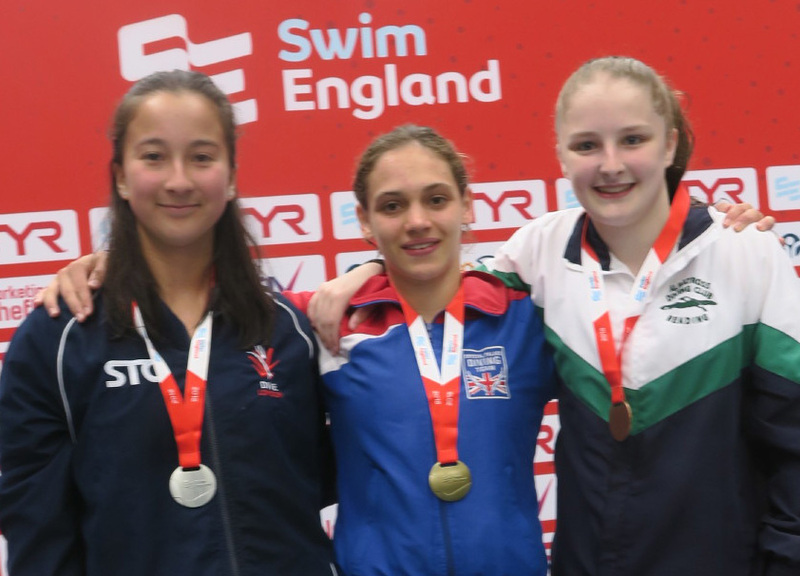 Faced with extremely long competitions, with long start lists, the divers gained valuable competition experience and recorded several PBs. Hernan returned two personal bests to finish 10th on 1m (164.40) and 14th on 3m (173.30). 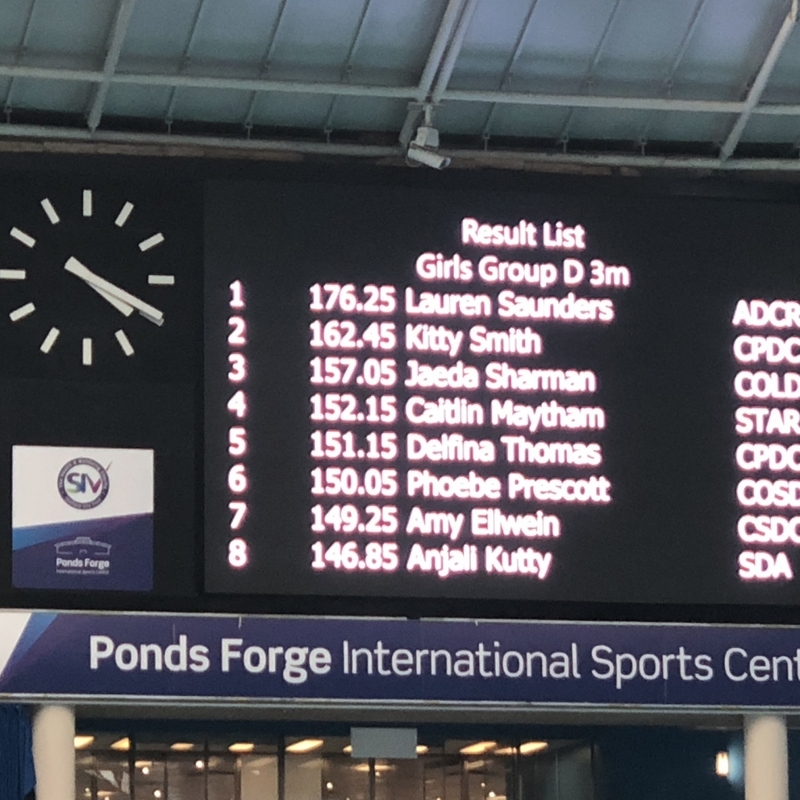 Molly shone on 1m where she finished 15th with a PB of 164.25 points. Maya was 24th with 156.00. 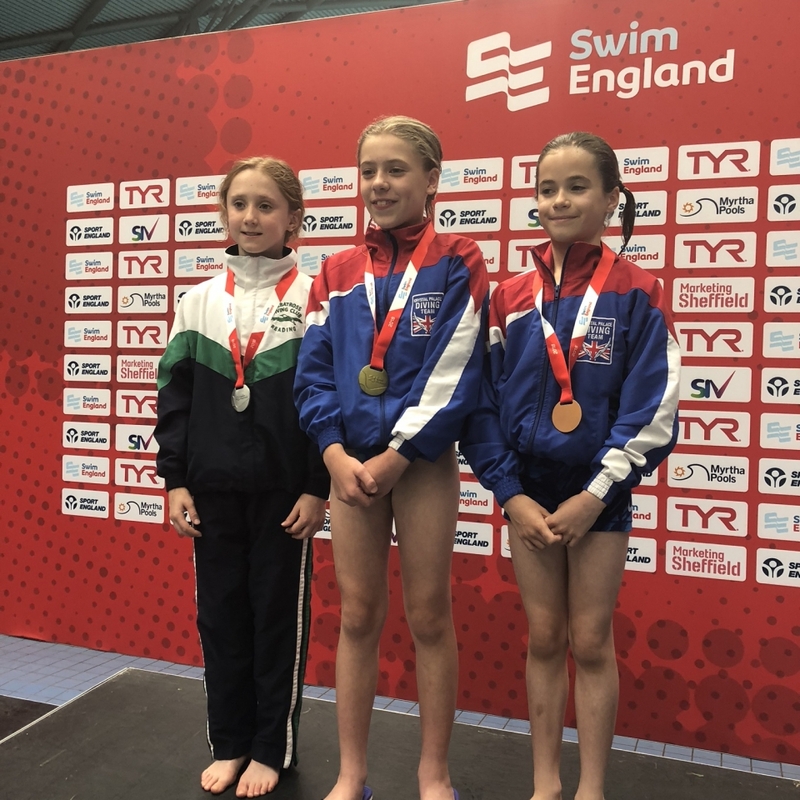 Maya went on to finish 26th on 3m (160.40) whilst Molly was 25th (160.65). 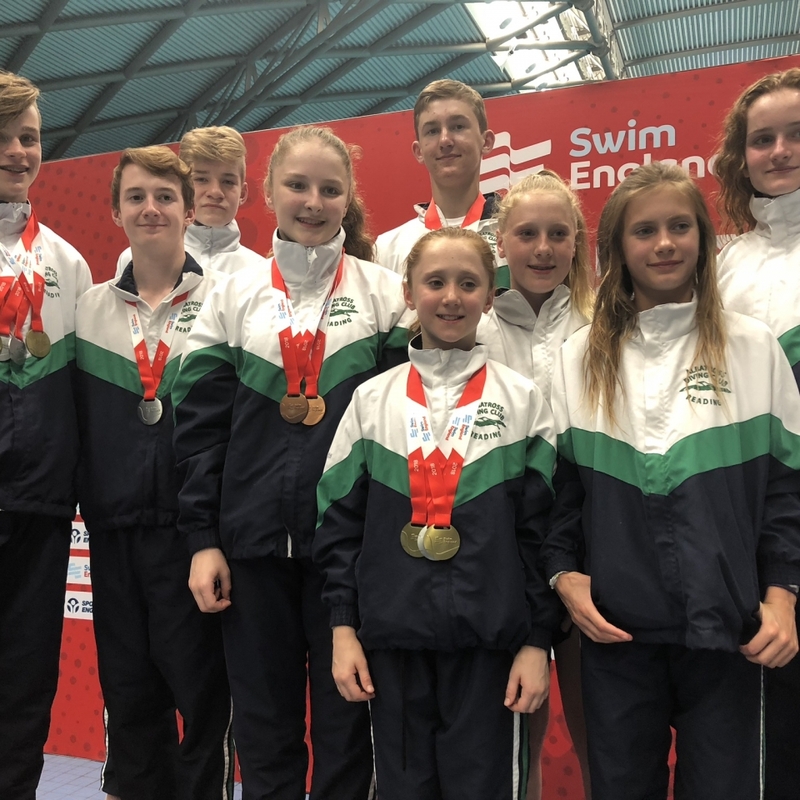 Overall Team Albatross won the second highest medal tally of the competition; 4 individual golds, 6 silver, 3 bronze and a further gold in synchronised diving. This represents a record number of medals for the Reading Club!